Seems like silly question because all of us are breathing and know how to breathe? Without breathing there is no life and naturally we learn how to breathe? But, what might seem like a silly question is actually a very valid question. Do we really know how to breathe properly and what happens during the breathing process? Each and every cells of our body need oxygen for survival. Cell is a smallest independent unit of life. Different cells unite together to form tissues. Two or more kind of tissues form Organ and a collection of Organ together form a system i.e. our body. Our cells can stay without food and water for several days but cannot survive without oxygen for even 5 minutes .So oxygen is important for us. If you find that the cells are dying it means that diseases are inevitable. So coming back to the point, the role of our respiratory system is to collect oxygen from atmosphere and deliver it to our lungs and through lungs to the blood. These exchanges of gasses happen in Alveoli sacs of our lungs. In return blood handovers carbon di oxide to respiratory system which is disposed of in the atmosphere. Carbon di oxide is the waste product of cell which is released during the metabolic process and is like toxic substance for our body. So when we breathe through our nostrils air passes through the sinus cavity which is warmed by sinus cavity and dust particles and bacteria’s with the air are trapped by mucus and the hairs inside the nose and pure air goes to the lungs . Always breathe in through the nose and not through the mouth. When we breathe in we must take deep and slow breath. 10-14 breath per minute is good. Our lungs can consume up to 5 litres of oxygen, there will be always around 1.5 litres of residual air in the lungs and we cannot empty the lungs completely. With shallow breathing we inhale only around 500 ml that should go up to 2500 ml. When we breathe in, the stomach must come out but, we breathe wrong and when we inhale our stomach also goes in and our lungs can’t expand completely. Diaphragm is a muscle which is separating abdominal and thoracic cavity. 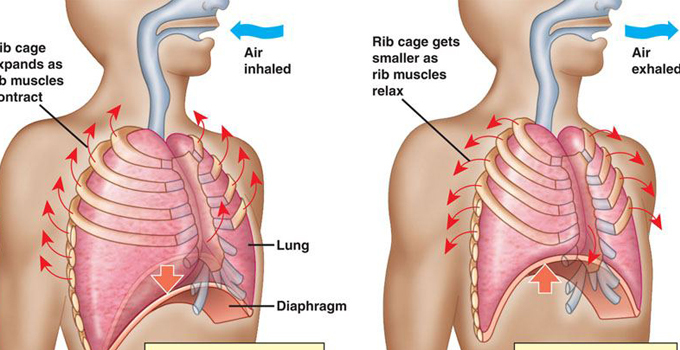 When diaphragm contracts, the lungs expand and fresh air is drawn. 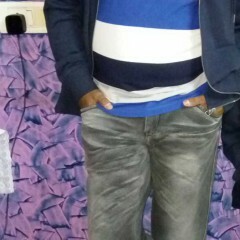 When diaphragm contract stomach will come out. So breathe correctly and you can avoid many life threatening diseases. 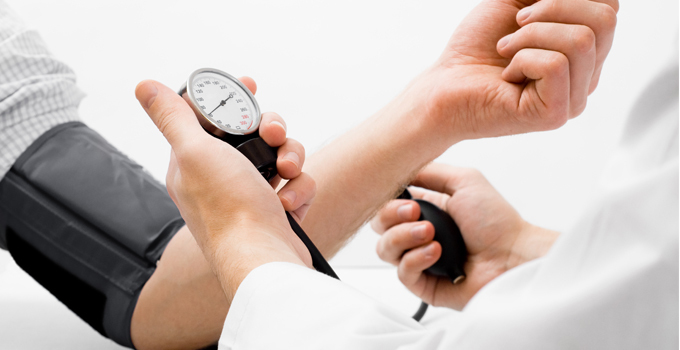 Hypertension is one of the major diseases that one develops because of a sedentary lifestyle. Hypertension refers to the increase in the blood pressure level. When the doctor says you are suffering from blood pressure (BP) or that you are Hypertensive, the next step is medication. Medication is considered the only means to bring down the blood pressure levels or hypertension. I would say, no to medication. There are other ways to bring down the BP levels. Before that we need to know the causes for the Hypertension. The major cause of Hypertension is a sedentary lifestyle or no physical activities at all. Having excessive amount of salt results in high blood pressure. If the stress level is higher it also leads to Hypertension. Aging or getting older is also cause for hypertension. High level of alcohol consumption as well as smoking result in hypertension. High intakes of tea or caffeine result in Hypertension. Lack of sleep results in increase in Blood pressure levels. 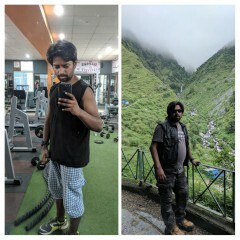 Do exercise or indulge in physical activity of a kind regularly. Regular exercise will help to drop down blood pressure. The exercise must consist of targeting more cardiovascular and strength training activities. Isometric contractions (Contracting holding movements) must be avoided in strength training. Healthy food habit. Eating healthy food will result in dropping your hypertension levels. The whole day in take consists of targeting all macronutrients (Protein, Carbs and Fats) and micronutrients (Vitamins, Minerals). Cut down on your salt intake if you are consuming excessively. Reduce your bodyweight in fats. If you have more fat chances of hypertension is higher. 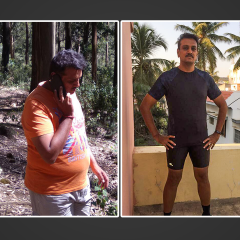 Therefore it is important to maintain your BMI and fat percentage in normal range. In a short, it all boils down to your food habits, physical activity, and stress levels and rest. If we are living a healthy lifestyle there is absolutely no need to take medications for Hypertension. Most of us are aware of the fact that brown rice is good for health and therefore better than white, Brown bread is better than white, but does this same logic apply to brown sugar as well? Once, while with a friend at a coffee shop, she suddenly came up with this thought that white sugar is unhealthy and brown is very healthy and will help you not gaining weight. I wondered really? I went back home and pondered over what she said. Next thing I decided do was to research on the subject-which sugar is better white or brown? Both tastes similar in sweetness and both have calories but, when I researched deep into the topic, I got to know lot more. 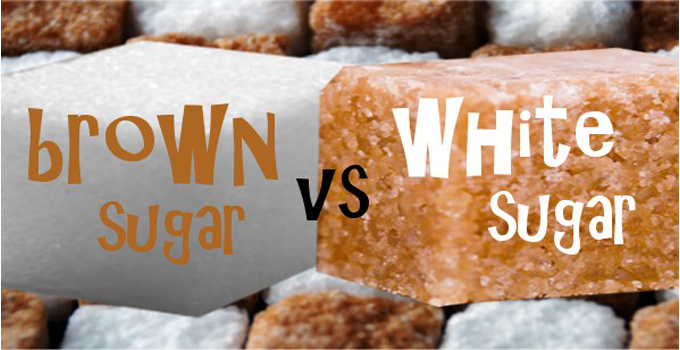 Although many people are of the opinion that brown sugar is a healthier option than white sugar, the truth is that they only have certain different nutritional values. White sugar is actually 99.9% pure sucrose, while brown sugar is 97% sucrose, 2% water and 1% other substances. A teaspoon of white sugar contains 16 kilocalories, whereas one teaspoon of brown sugar has 17 kilocalories. The molasses in brown sugar contains a number of minerals, which include calcium, potassium, magnesium and iron, but since only very small amounts of these minerals are present in brown sugar, they do not bring any health benefit to the body. It is known that sugar has very little nutrients, and both white sugar and brown sugar do not do much to promote health. So now that it has been proved nutritionally, “Brown sugar and white sugar are not much different”, let us now look at the other aspects of sugar and weight loss. It is said that a person should have a minimum of only 2 spoons of sugar in a day but there again it’s a misconception, so how much of sugar a person should have in a day? Unfortunately, there is no simple answer to this question. Some people can eat some sugar without harm, while others should avoid it as much as possible. But, if you ask me I would say one should avoid excess sugar as much they can. Whoever out there are consuming brown sugar as an alternative for weight loss or diabetic reasons should look out for better option and go in for natural sweetner’s like honey, jiggery, sugarcane, dates as these would be beneficial and more healthier for you rather than any white or brown or both. Obesity comes with its own set of problems. It just doesn’t mean excess weight and heart problems. A lot more is involved. A common point that most people miss out is the health of their kidneys. Media will educate and try and sell you the best ‘Dialysis’ options available and a plethora of medication. Dialysis is a painful procedure. It affects people’s lives, jobs, families, relationships etc. Your goal should be to never even reach that stage, if it’s in your control, and in most cases, your lifestyle is the only thing that really is in your control. It’s your choice. The two main causes are high blood pressure and diabetes. In fact, one in three adults with diabetes—and 20% with high blood pressure—have CKD. So if you think this doesn’t affect you or a loved one, think again. 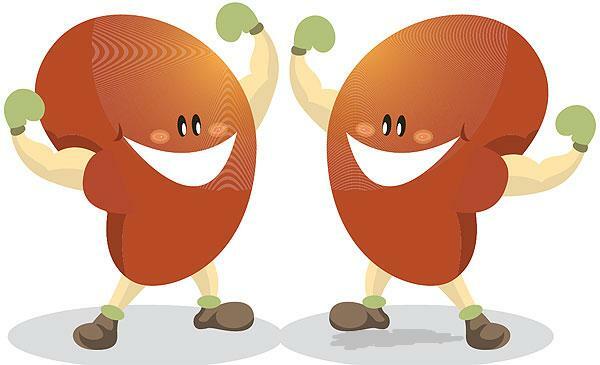 About 26 million people have this kidney condition. And the numbers are only increasing. Chronic kidney disease (CKD) can be hard to spot early. Most people find out they have it after a blood or urine test. Their doctors’ first course of action—of course—is to write a prescription. This can include blood pressure medications like beta blockers and even statins. If you don’t detect CKD early, your options could be even scarier… Like dialysis or a full-on transplant. But new research out of China has found a simple, natural solution. Researchers in China followed 6,363 patients with chronic kidney disease (CKD). After 10 years they found people who did this were 33% less likely to die. But this didn’t just help prevent death. 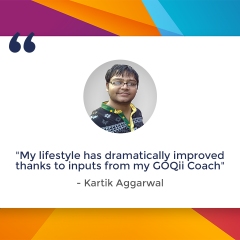 It also helped improve quality of life. These people lowered their risk for needing dialysis—or even a kidney transplant—by 21%. And that’s just the average. This easy, everyday activity may help you live longer with CKD—maybe even avoid it entirely. We’re talking about walking. It sounds simple, but it’s effective. And for some people in the study, it may have added enjoyable years to their life. The people in this study who walked the most saw an even greater benefit than the rest of the group. Walking for 30 minutes or less at least once a day helped some subjects reduce mortality risk by 59%. And their likelihood for needing a kidney transplant or dialysis dropped by 44%. Your kidneys are the most important organs in your body. They act like a filter for your blood. Their main job is to remove waste products and balance fluid levels. But, they also help produce vitamin D and red blood cells. They even help regulate blood pressure. CKD includes a variety of conditions that cause your kidneys to shut down over time. At first, you may not notice anything is wrong. But as time goes on, waste levels can build. This may eventually make you feel sick. But it can also lead to high blood pressure and nerve damage. Worse yet, CKD may increase your risk of developing heart disease. Simply walking for a few minutes a day may help you avoid transplant or dialysis. It may even help you live longer with CKD. But, exercise is also a great way to avoid CKD in the first place. Making the switch to high intensity exercise could lead to even more impressive results. It may also help lower your risk for high blood pressure and diabetes—the two main causes that lead to developing CKD. So get moving. Exercise should be your only medicine.